Communication via the spoken word is one of the most commonly used creative expressions. However language, in whatever form, has a deep resonance for all of us. 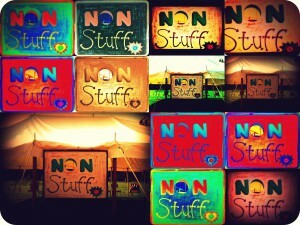 NonStuff festival 2015 offers you the opportunity to use your words wisely, and learn just some of the languages of nature. Wayfaring Words An encouraging, fun and dynamic session using the tools of creative writing and poetic expression to expand our awareness of ourselves and the world we are living in. Writing as a way to find beauty, cathartic release, interconnectedness and healing in words that we didn’t know we had inside ourselves. This session is suitable both for beginners and experienced writers, and we will be using writing prompts and time limits to journey through own inner landscape. “Storytelling Improvisation” This workshop seeks to unveil the storyteller in us all. Through improvised storytelling we are able to make our static reality into a reality full of possibilities. Without noticing it we work through subconscious thoughts and feelings and make room for the new. Like in any improvisation (dance, music etc.) we access a form of meditation. As everything is in constant flow we become present in the moment. Improvised storytelling provides free entertainment to ourselves and to others. It can happen anywhere and at anytime. All we need is our imagination. It brings us back into a child-like state of curiosity, inspiration and creativity. Using my background as a theatre-maker I will help you access your own wonderworld of adventures and magic. Understanding Animal Wisdom I will encourage exploration of how our indigenous ancestors/cultures used what they learned from their observations of various animals and how they integrated what they learned into their own personal lives and situations. Participants will be encouraged to share their own wisdom and stories, to think about the animals they are most drawn to and why they feel this way. They will also be lead through meditation to help them find their animal guide and feel it’s wisdom. I will also share stories and ask participants to do the same at various times. Depending in the weather and area, I may ask participants to find a small sacred space under a tree (also known as a ‘sit spot’ in permaculture terms/ Jon Young) and observe nature for 15mins, then come back and share. We relied on folk showing up, willing to share their skills, their expertise, their knowledge, their inner child – the one who delights in others having fun. We have been very lucky in all the colourful, energetic, passionate, playful and artistic people who have come forward to create a beautiful & vibrant crochet blanket, that all of us can wrap ourselves in over the three days. It will be a fun and interactive session, using outdoor education skills and tools to deliver group games and activities. The aim will be to gel the group together with a mix of outdoor games that will engage them, have them laughing as well as learning how to work together with others. I’ve been refining my diet in alignment with my own personal development for many years. To discover the health benefits of cacao and develop a way to make really delicious cacao superfood bars and to unfold my passion for sharing this knowledge with other people has been a real joy. A 30 min workshop based on Joanna Macy’s work using open sentences to explore gratitude between pairs. 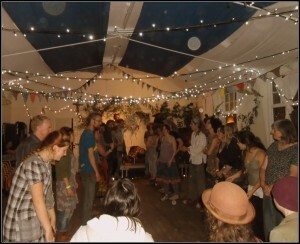 This can also be seen as an active ‘zone 0.0’ permaculture workshop. I love to bring people together in my joy for sharing to explore the mind, ideas, and human potential. I’ve often been coined a ‘Node’ – A point of convergence. I curate the Nonviolent Communication Happenings Newsletter for Scotland, facilitate accessible Nonviolent Communication events, work with Claire Lewis developing the presence of Biodanza in Scotland, study Permaculture, and work as a researcher for Julian Treasure of The Sound Agency. I dedicate my energy to my own self-discovery, and creating opportunities for collective exploration. Svenja is a community gardener and academic who lives in Glasgow. She used to deliver trainings with the Glasgow group of the Clandestine Insurgent Rebel Clown Army, and has used playful tactics of nonviolent resistance at protests in Scotland, Germany and Denmark. Cammy Sinclair has performed in the UK and abroad as a musician and clown. He’s worked with Orkestra Del Sol, and alongside Phil Kay and Dr Brown. In the 2015 Edinburgh Fringe he’s one half of a two man show with Chris Forbes entitled Sketch n Sniff. children’s acrobatic yoga and song! Morgan is a yoga teacher and works with all ages, delivering tailored yoga sessions, incorporating breath, mindfulness and body awareness. She teaches yoga full time and has developed a programme of yoga for healing from eating disorders. Penny is a clinical psychologist and is also a fully qualified yoga teacher in yoga and mindfulness with bodhi yoga. Penny enjoys working with children and teaching through song, and mindful movement. Kuchke are an all female, predominantly vocal group who create polyphonic harmonies inspired by the Balkans. Cuddling reduces stress and anxiety. It also releases the feel-good hormone “oxytocin”. Through cuddling we are able to bond with other human beings and are reminded of our shared need for love. I am a graduate theatre-maker of the Royal Conservatoire of Scotland. I have led drama and dance workshops for all types of ages and all types of mental and physical abilites. My main goal has been to help people rise above their perceived abilites. Together we experience moments of empowerment and transcendence. My keen interest for alternative therapies and life-styles have continuing influences on my practice. 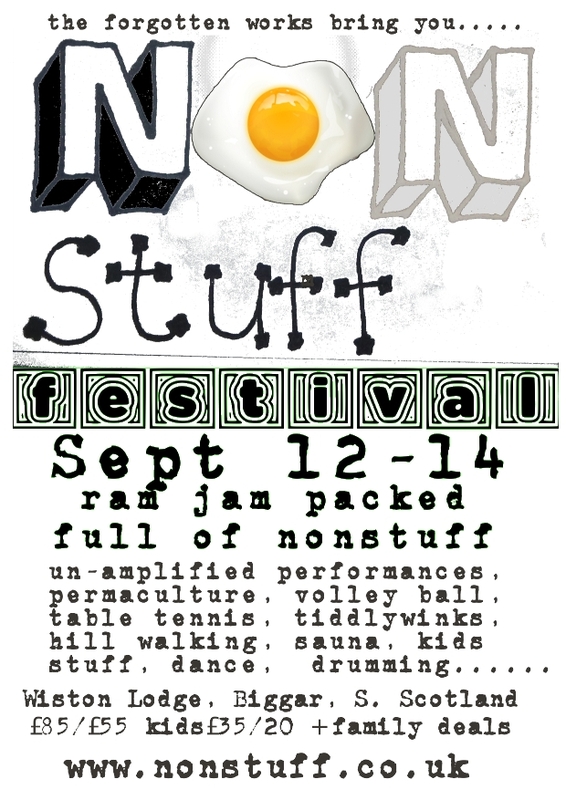 NonStuff Festival 2015 has a whole host of options with workshops, music, art and quiet time, but it wouldn’t be a festival without some earthy dance. This year we have some lovely dance & movement workshops, and some really great teachers joining us. Traditional West African dance class. I teach traditional West African dances that are very energetic and simple enough to be picked up by beginners or can be built upon to become more challenging. You really get a sweat on in a free and fun way! I have learnt the African dances in Senegal and at festivals in the UK and have been teaching for 8 years for community groups, schools, sports centres, festivals and events. 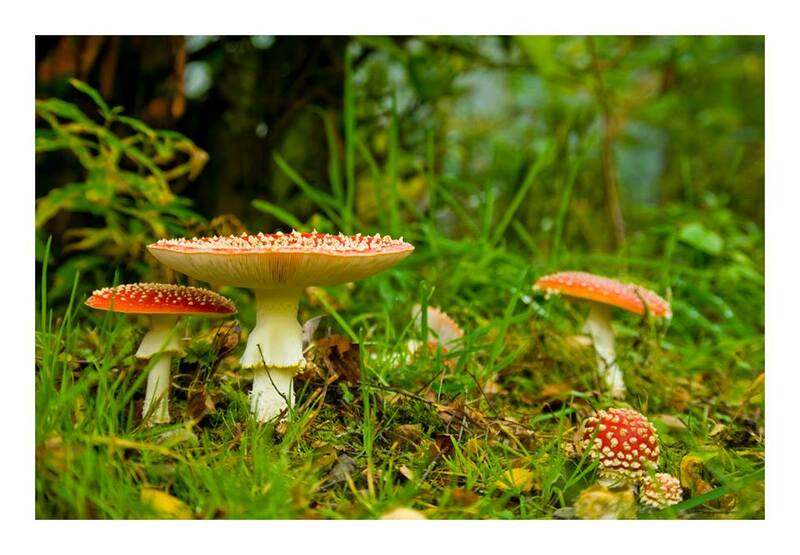 starting with a short introduction to what Biodanza is and what we will be doing in the workshop, we will be outdoors to experience a creative journey of movement, shared dance and meditation and in the presence of nature. Opening ourselves and our senses to the inner and outer worlds, we will heighten our awareness to the music that awakens us and is awakened through our dance. Meeting each other in this landscape of beauty and richness, enhances our connection with a natural gratitude for all that we share. Claire Levey Lewis has been practising Biodanza since 1996. She qualified as a teacher in 2002 and has been director of the Rolando Toro Schools of Biodanza in Scotland & Ireland since 2005/2006. She has been pioneering the work and supporting the growth of Biodanza in both countries and additionally in the North of England. As well directing the training schools in Scotland & Ireland, Claire specialises in Biodanza and Social Action, working with various organisations in Edinburgh and Scotland for people with learning disabilities, vulnerable children and projects for social inclusion. Dana MacPherson – long distance outdoor dancer, aerial wall runner,choreographer, ki-aikido practitioner, traceur/parkour artist, painter, large scale festival decorator. My name is Emma. I am a meditating, dancing yogi who is obsessed with nutrition. 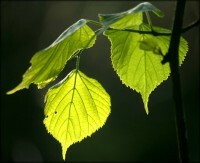 I live in the countryside in the Highlands and love nothing more than to connect with the natural environment. My workshops are based on the teachings of Anna Halprin, a Californian based experimental dancer/choreographer I have researched and trained with who has been teaching interpretative movement workshops on her outdoor deck in amongst the Californian Redwood trees since the 1950s! Portnawak & The Woo started playing together over 6 years ago when they all lived on the Woodcote Estate in Midlothian. They play genre busting tunes that are gypsy, folk and punk influenced. Portnawak enjoy that they play a range of acoustic instruments, all with a story to tell.